For over 45 years, we’ve been building Innovation, Quality, and Experience into every product we sell. Providing innovative products and designs is an ongoing part of our business. Our years of hands-on installation experience and our willingness to listen to our customers has allowed us to create numerous industry-first products. From our patented skimmers and modular spillways to our unique waterfall diffuser and fountain basins, EasyPro’s product line continues to evolve as we listen to our customers and design products to fit their needs. In order to provide “Reliability You Can Count On,” we strive to provide quality from every aspect of our business: professional grade products, knowledgeable technical support, sales and order entry support, high fill rates, and timely deliveries. EasyPro pumps are some of the most trusted, quality pumps in the industry. Reliability, performance, low operational costs, added features, and industry-leading warranties contribute to their recognized quality and value. Selecting the proper pump is easy, whether it is an EasyPro Mag Drive, high volume waterfall pump, or energy efficient EX series external pump. EasyPro is recognized from coast to coast for providing innovative designs, professional grade quality, and ease and flexibility of installation – not to mention years of reliable service. EasyPro (formerly Stoney Creek) celebrated their 45th anniversary in 2015. With 45 years in the fishery and aquatic equipment business, including 30 years in the water feature business, EasyPro offers years of hands-on experience. EasyPro Pond Products has both an in-house sales staff and a field sales staff. Our in-house staff has grown to over 30 people dedicated to sales, system design, order processing, accounting, purchasing, production, and shipping. We strive to have key people in every area of the business to ensure top quality service. EasyPro operates with six department managers, all of whom are available to you should the need arise. In 1970, Steve and Leann Ouwinga established Stoney Creek Fisheries as a family business. They supplied lakes, farm ponds, and streams in the Great Lakes area with trout, bluegill, largemouth bass, catfish, perch, walleye, and crappie. 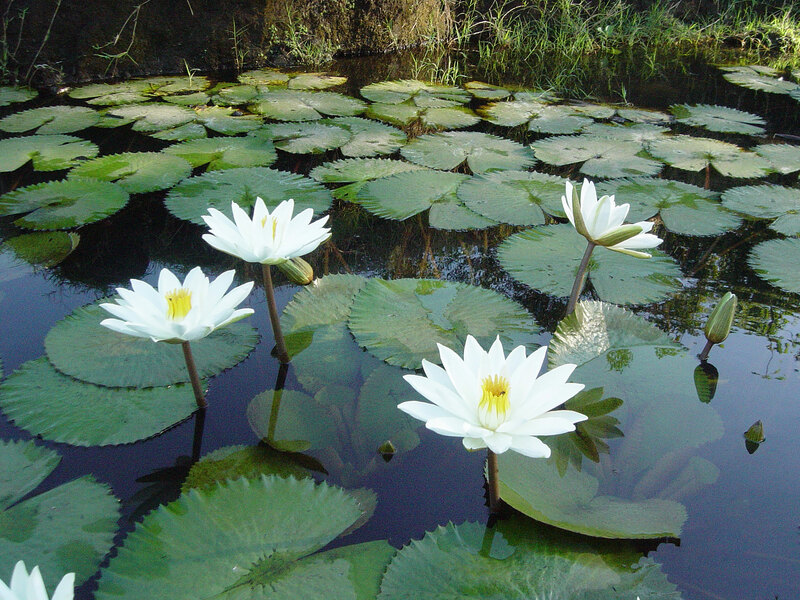 The operation grew to include three working fish farms with a total of 96 fish production ponds. Steve and Leann’s son, Dave, grew up learning and helping with the family business and eventually joined the company full time in 1986. 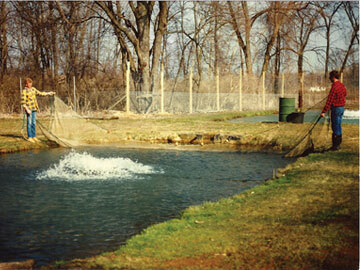 This was the same year Stoney Creek expanded their services to include fish and pond lake aeration. This was a natural tie-in service to meet the need for ecologically balanced lakes and ponds promoting the year-round health of fish. By 1990, Stoney Creek was printing a small catalog of supplies geared toward the backyard pond owner. By the mid-90s, Stoney Creek was operating the fish farms and selling pond supplies to homeowners, other fish farmers, and a growing number of landscape contractors who were building water features. 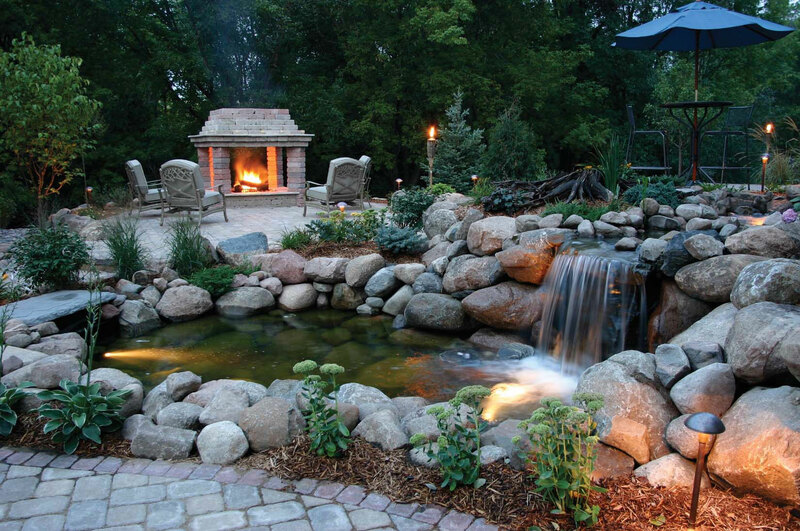 The contractor business quickly became a major part of Stoney Creek’s business as water features rapidly gained popularity in the late 1990s. Growing frustrated with the lack of quality plastic molded products in the market, Stoney Creek decided to enter the manufacturing business in the fall of 2000, and EasyPro Pond Products was created. 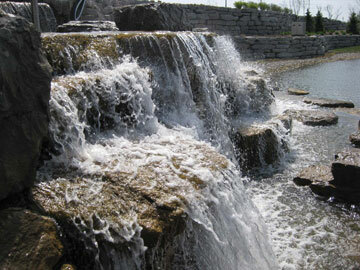 The first products consisted of pond skimmers and waterfall boxes, which were very well received in the industry. 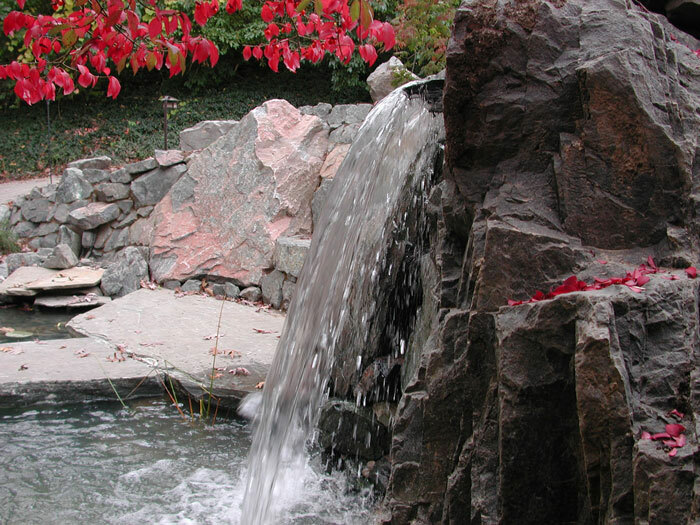 Over the years, the EasyPro line has grown to a full line of water feature products and continues to expand every year. Dave spearheaded this part of the business, sharing his enthusiasm for the quality designed products and design/construction of water features with others across the country — all while maintaining an “easy-to-do-business-with” style. Dave eventually found the need to spend less time doing installations and more time managing the growing production and distribution of products. For six out of the next eight years, EasyPro added onto their warehouse, production facilities, and staffing to provide the needed support for their growing customer base. Today, EasyPro works with nearly 200 distributors and has served over 33,000 customers throughout the U.S. and Canada. It is upon this foundation that we continue to do business today.